Fall fun 🍂🍁 | Live Laugh Bark(at everything)! 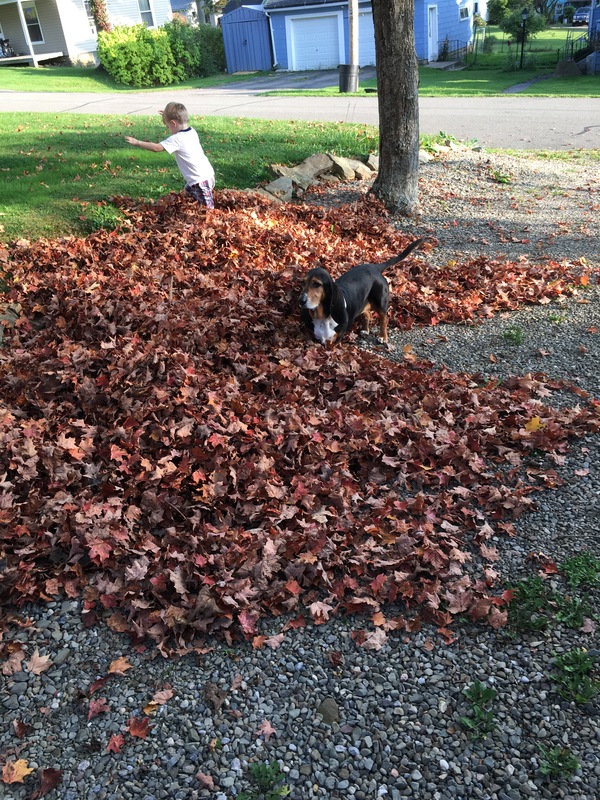 So I decided to take my hubro out to teach him how to play in a leaf pile correctly. He caught on pretty fast! 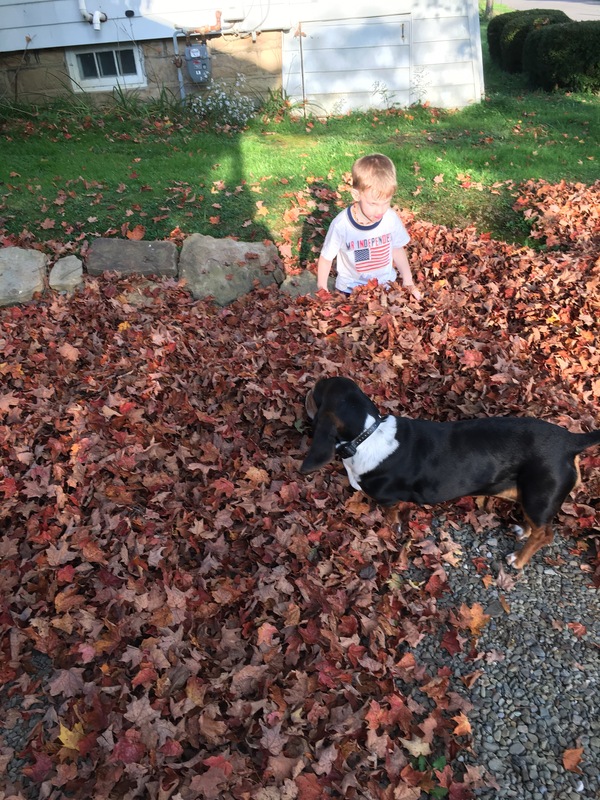 However he refused to roll in a few of the leaves that I thought had a very nice aroma, mom was happy about that! 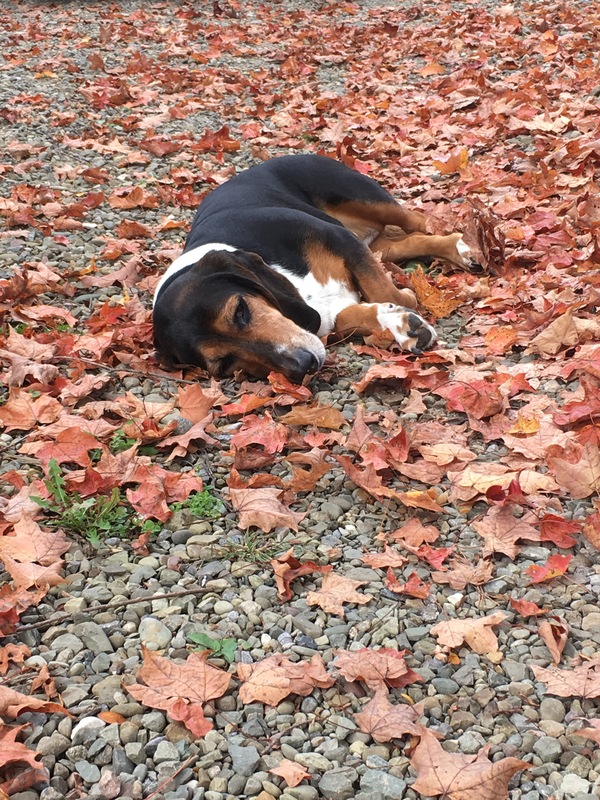 All in all it was a fun time but this pup was totally expawsted afterwards…..mom managed to entice me inside with the promise of treats! !